From W. Bruce Cameron, author of The New York Times and USA Today bestselling novel A Dog’s Purpose, which is now a major motion picture! 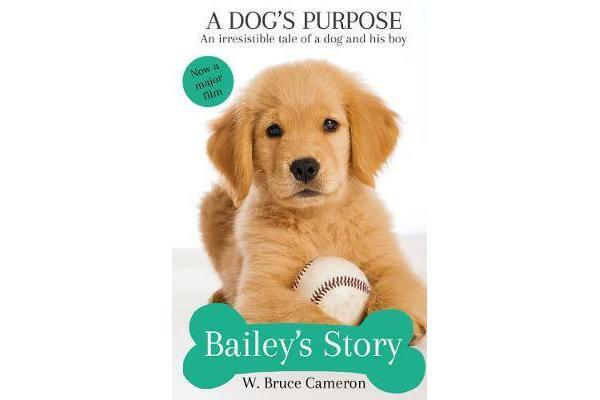 Bailey’s Story is a heart-warming novel adapted for young readers from the beloved New York Times bestselling A Dog’s Purpose by W. Bruce Cameron. When Bailey meets eight-year-old Ethan, he quickly figures out his purpose: to play with the boy, to explore the farm during summers with the boy and to tidy the boy’s dishes by licking them clean (only when Mom isn’t watching). But Bailey soon learns that life isn’t always so simple – that sometimes bad things happen – and that there can be no greater purpose than to protect the boy he loves.